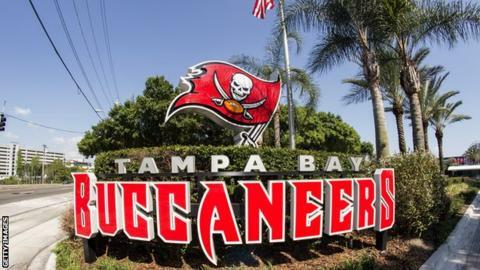 The Tampa Bay Buccaneers have become the first NFL franchise to appoint two full-time female coaches. Maral Javadifar joins as assistant strength and conditioning coach and Lori Locust as assistant defensive line coach. Head coach Bruce Arians said the pair will be "great additions" to his staff. "I know how hard it can be to get that first opportunity to coach at the highest level of professional football," he added. "Sometimes, all you need is the right organisation to offer up the opportunity." Javadifar was working as a physical therapist in Seattle after completing her sports physical therapy residency at Virginia Commonwealth University. Locust has previously served as an intern with the Baltimore Ravens, while also working with Alliance of American Football team the Birmingham Iron and National Arena League side the Lehigh Valley Steelhawks. "I have known Lori going back to my days at Temple University and I've seen first-hand just how knowledgeable and passionate she is about this game," added Arians. "I was equally impressed with Maral's background in performance training and physical therapy and I know she will be a valuable asset to our strength and conditioning program."